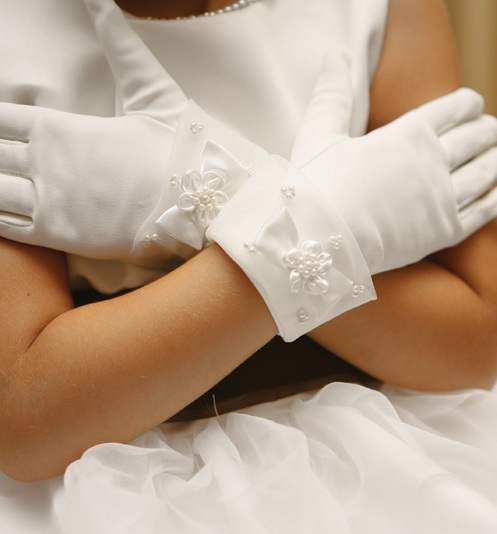 Flower Girl Gloves, Pageant Gloves and First Communion Gloves. 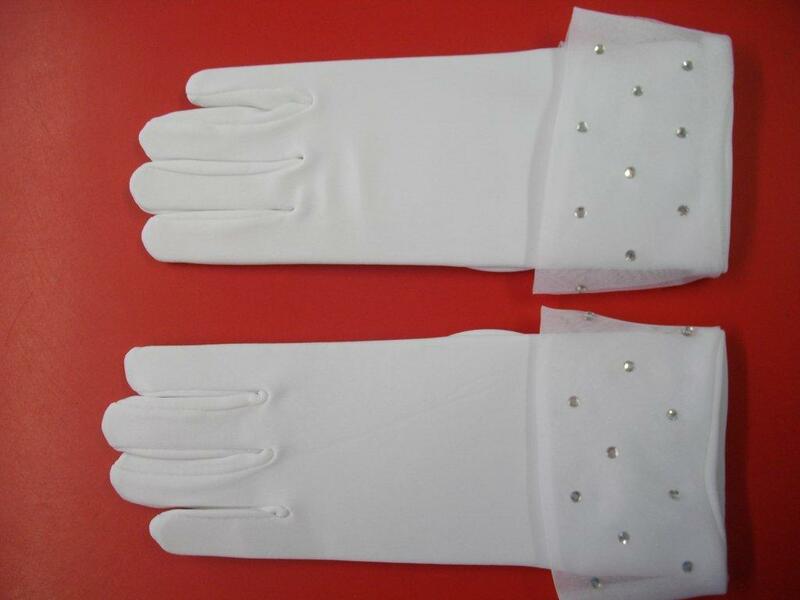 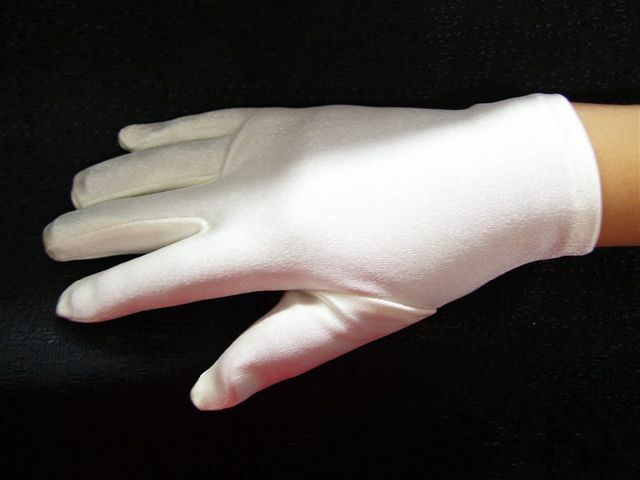 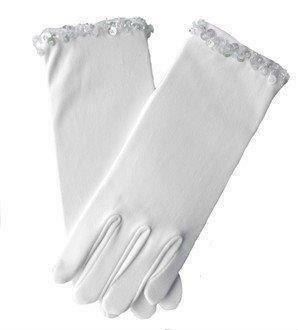 white gloves Flower girl, pageant, first communion gloves. 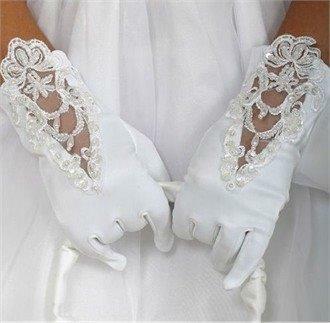 Beautiful accent to any children's formal event. 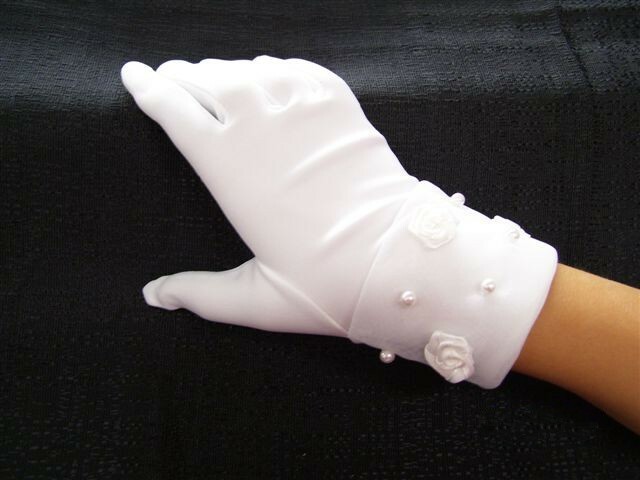 Glove with folded cuff accented with pearls and flowers. 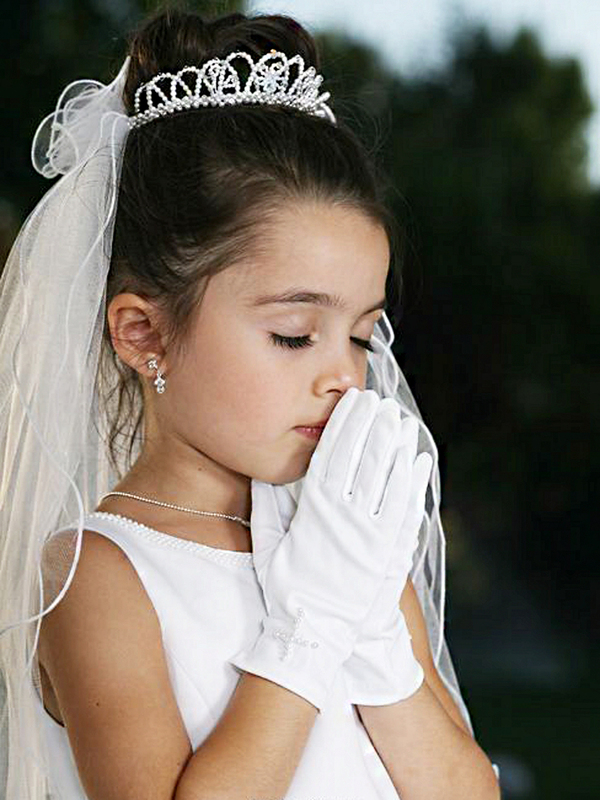 Great for flower girls, communion, or even pageants. 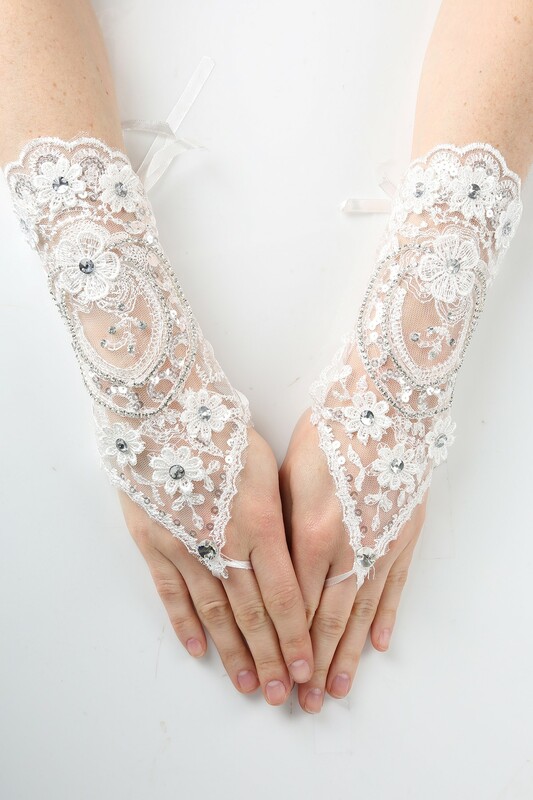 Girls white lace fingerless gloves.